Google has decided it will no longer develop the Google Nik Collection, so what do we all do when it’s gone? Here are five Nik Collection alternatives that could fill the void. Alien Skin Exposure X2 isn’t just for old-fashioned film effects. This image has been enhanced with a modern Fujifilm Velvia 50 film simulation and a carefully placed vignette effect. It’s a very effective everyday image-editor. 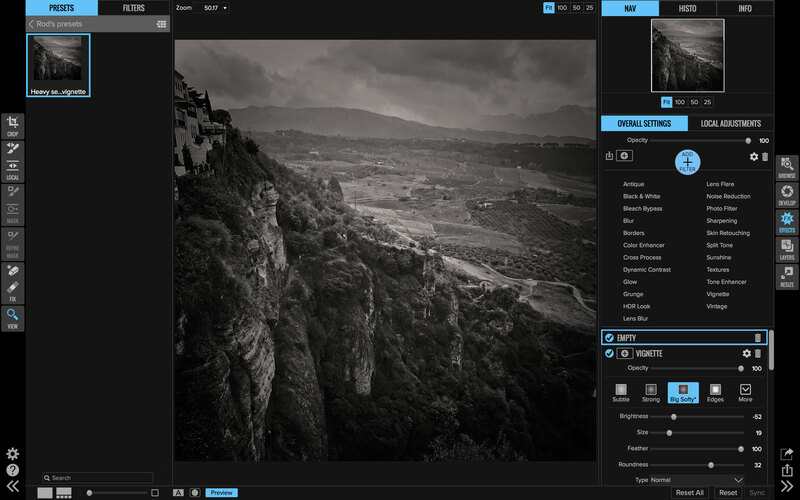 Once a film simulation plug-in, now a full-blown standalone image-editor with file browsing and non-destructive adjustment layers and masks, Alien Skin is a very interesting Nik Collection alternative. 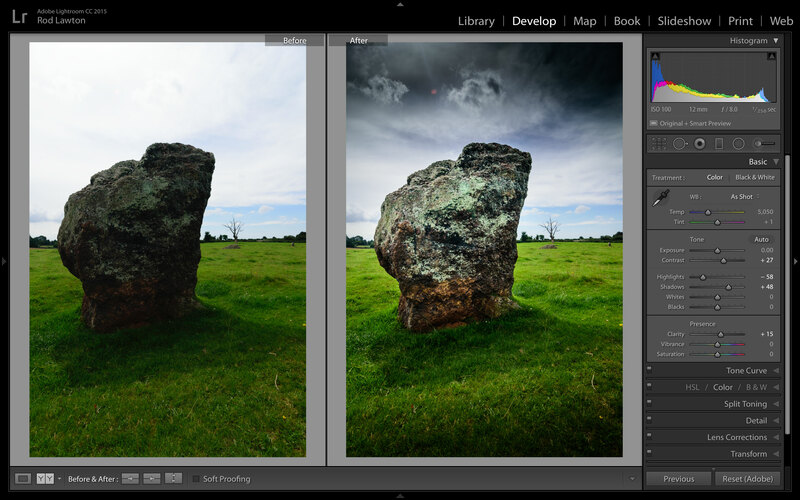 It can work with JPEGs and RAW files, even applying automatic lens corrections, and it has a large collection of effects presets organised into categories. Its effects are a little more traditional and restrained than some of those in the Google Nik Collection, which many might regard as a good thing, but once you get to grips with the manual adjustment tools you shouldn’t find it too hard to get close to your favourite ‘Nik’ looks. Exposure X2 is particularly good at analog effects like grain, bokeh, light leaks, vignettes and frames, and its non-destructive approach will be welcome to Nik users who have previously had to commit to baked-in adjustments before saving their work. In ON1 Photo RAW you can create your own effects by combining up to 20 different effects filters in a ‘stack’ and then saving the result as a preset of your own. Like Exposure X2, ON1 Photo has evolved from a plug-in (actually, a suite of plug-ins) into a fully-fledged standalone app with file browsing/organising tools and non-destructive, layers-based editing. Actually, it goes a step further than Exposure X2 by offering layered montages made from separate images, complete with sophisticated masking tools. Like Exposure X2, ON1 RAW comes with a raft of preset effects which you can reverse-engineer with your own manual adjustments to produce any look you want. 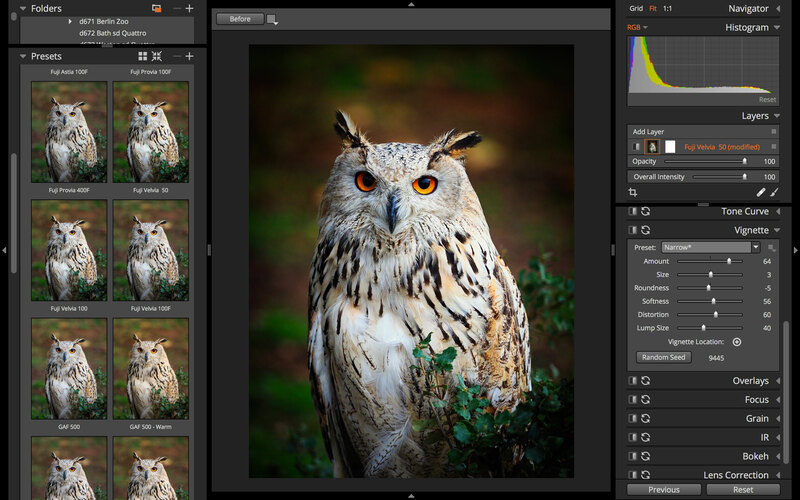 This does mean learning a new set of tools and a somewhat different way of working, but it’s possible to achieve great-looking results covering the whole spectrum of image-editing, from subtle enhancements to wild analog (and digital) effects. These can be saved as custom presets, just like the Google Nik Collection, with the advantage that they are ‘universal’ and not tied to a specific plug-in. It’s possible to create quite complex images in MacPhun Luminar. This one consists of a landscape blended with a new sky and a layer mask with additional adjustments applied to the individual layers and the whole image. MacPhun Luminar is a very different kind of photo editing app that takes a ‘workspace’ approach to different styles and genres of pictures. Basically, you choose only the tools you need, rather than cluttering up your interface with the whole caboodle. If you take a sideways look at it, though, it’s the same approach as Exposure X2 and ON1 Photo RAW – you choose from a range of different preset effects or build your own by combining different tools/effects. 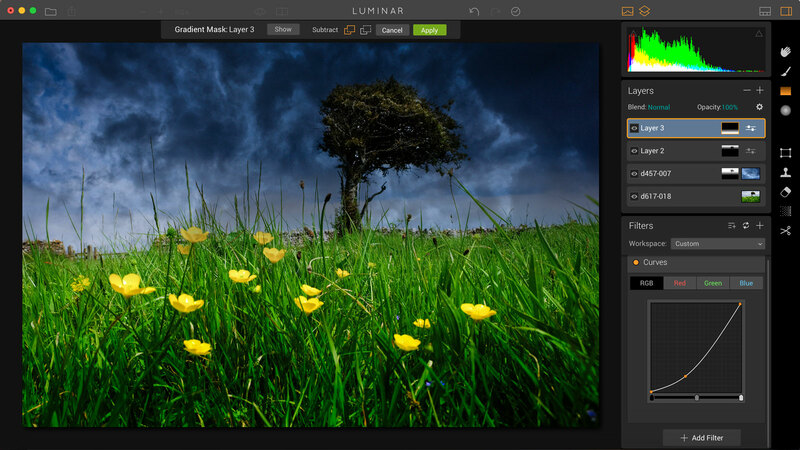 It’s early days, but Luminar looks very promising, and it’s certainly affordable. It doesn’t yet have any in-built browsing tools, but you can use it as an external editor in Lightroom. It doesn’t really match the Nik Collection’s range of photographic/analog image effects, but for that you should take a look at MacPhun’s Creative Kit, which includes Tonality (mostly black and white), Intensify (detail and drama), Snapheal (easy object removal), FX Photo Studio (quick and dirty photo effects), Focus (digital bokeh effects) and Noiseless (simple and effective noise reduction). You can’t combine two separate images or use bitmap effects like analog frames, textures and light leaks, but you can create a wide range of other image effects and ‘looks’ in Lightroom. Lightroom doesn’t do bitmap image-editing, so there are certain Nik effects you can’t replicate, particularly when you’re looking for realistic analog looks. It can’t do textures, it doesn’t do layers and it doesn’t have any tools for creating borders. Light leaks are possible but would require a great deal of ingenuity. But Lightroom can simulate other photographic film effects very effectively – and quickly, thanks to its excellent presets system. It’s very good at precise tonal control in black and white, and colour, its Radial and Gradient filters can ‘relight’ scenes for dramatic effect and it simulates film grain extremely well. Cross processing effects and ‘faded’ looks are easy with its sophisticated colour controls and its adjustment brush is a good stand-in for the control point adjustments in the Nik Collection. Lightroom can’t do everything that the Nik Collection can do, but with a little lateral thinking you might get closer to your favourite ‘looks’ than you expect. Snapseed can create anything from a vintage analog look to dramatic black and white, HDR tonemapping and selective adjustments. Did we mention it was free? If your trust in Google’s guardianship of some the world’s favourite image-editing tools hasn’t been shattered for ever, take a look at Snapseed, available on iOS and Android. It was once available as a (superb) desktop app, but Google canned it (anyone spot a pattern here?). 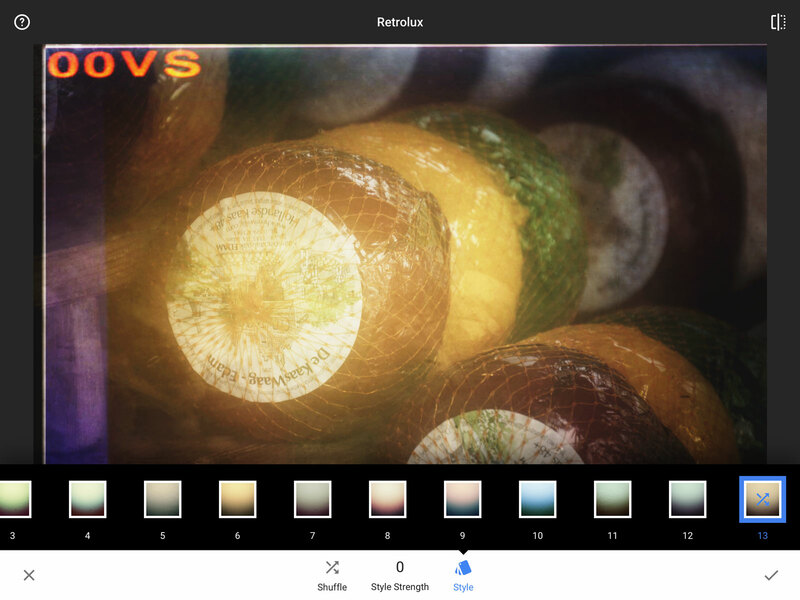 Snapseed is a free app that can be used as an additional editor for Google Photos but also works perfectly well as a standalone app – it can browse and open files directly from the iOS photo library, for example. It uses a selection of filters which you can apply individually or stack in layers – you even get masking tools to create localised effects. Snapseed takes many of the best bits of the Nik Collection and wraps them up in a single, easy-to-use app. You can use it for routine image enhancements, localised adjustments and all kinds of photographic/analog/retro effects. It’s so good, it’s worth making the effort to migrate images from your desktop machine to your tablet, simply to get the Snapseed ‘look’. Is there a reason you left out Topaz? Only because I haven’t got around to using it properly and reviewing it yet. I’ve dabbled with it in the past and not been very keen, but that was a long time ago and you’ve reminded me I need to take a proper look – thanks. Thank you very much for your reviews. In your opinion, what would be the best alternative to Nik Viveza 2? I love that plugin. That’s difficult because there’s nothing quite like it! At the moment, I’d recommend staying with Viveza until it becomes incompatible with your computer’s operating system or software, and that could take a while. All the current alternatives cost money, do probably rather more than you want and don’t have Viveza’s simplicity.